After you enrol, your fees will be calculated and an email notification will be sent to your student webmail account when an invoice/statement is issued. 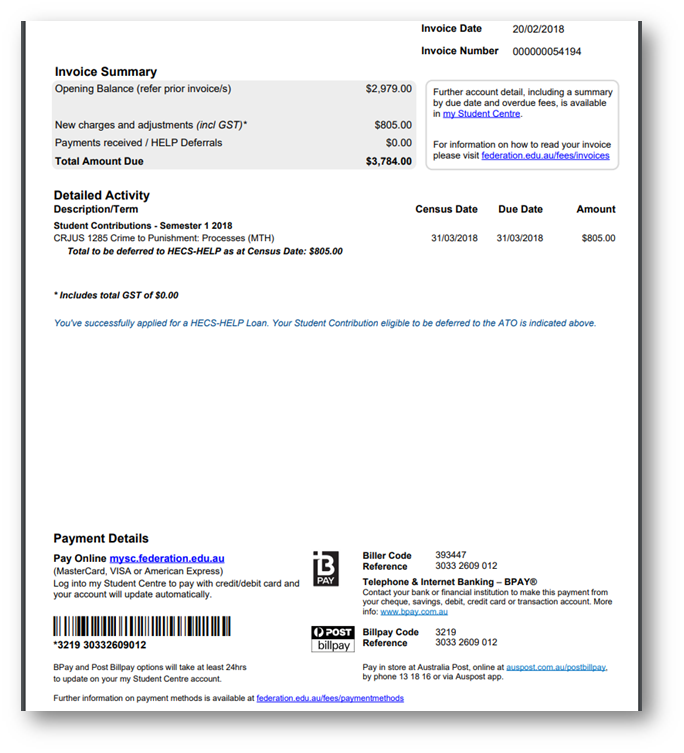 Your online invoice is available to be viewed and printed from you r my Student Centre account. Fees are due for payment by the date specified on your invoice/statement. 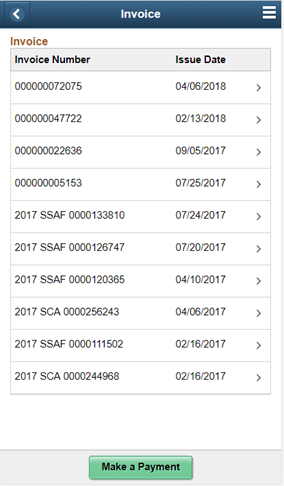 The Charges due page will show any outstanding charges. Click on the invoice to download as a PDF in a new tab. Ensure your pop up blockers are disabled. Scroll down the PDF to view payment details. You can also make a payment when viewing invoices. Click on the Make a Payment button. For further steps refer to the guide on how to make a payment.